After launching its own original series “House of Cards” this year and posting a soaring fourth quarter, Netflix is getting into the awards business. Sort of. 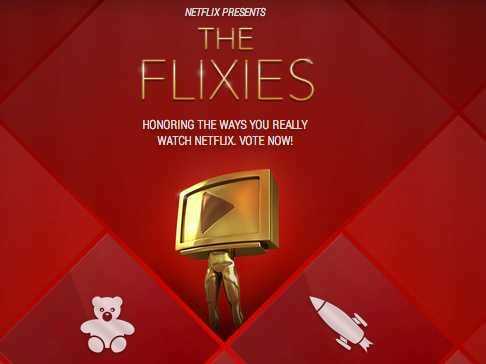 The streaming site announced The Flixies, an awards ceremony to honour the way people are consuming entertainment today online. The awards are completely fan-based with seven quirky categories highlighting the habits of Netflix viewers. People can vote on categories ranging from Best Guilty Pleasue to Best Marathon TV Show. And if there’s a category missing, users can submit their own. On March 11, Netflix will reveal the top three winners in each category. Voting is upon from now until March 10 for both Netflix and non-Netflix members. While Netflix refuses to give out numbers for its most popular shows, some of its categories help give insight into the most-watched series on the streaming site. Watch the promo below and the check out the categories and nominees afterward.